NEW YORK — By shuffling their upcoming rotation, the Yankees ensured that CC Sabathia will avoid another assignment on the Rogers Centre turf, while also depriving the Twins of an advance look at Luis Severino before they could potentially see the right-hander in the American League Wild Card Game. Following Saturday’s 9-3 victory over the Orioles, Yankees manager Joe Girardi announced that right-hander Sonny Gray would start Sunday’s 1:05 p.m. ET series finale in place of Sabathia, who had been listed as New York’s probable starter. Sabathia feared that his season might have been over following an Aug. 8 start at Toronto in which he lasted just three innings and was sent back to New York for an MRI on his ailing right knee. Sabathia returned after a stint on the 10-day disabled list and is 2-0 with a 3.14 ERA in five starts since. New York visits Toronto for a three-game series Sept. 22-24. Girardi said that Jaime Garcia, Sabathia and Masahiro Tanaka will face Minnesota in a three-game series that opens on Monday. The Yankees are three games behind the Red Sox in the American League East, and lead the Twins by five games for the first AL Wild Card. 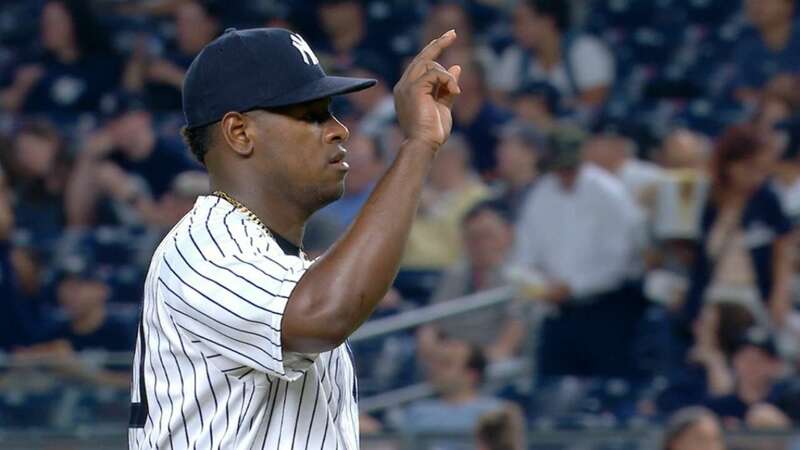 Severino has never faced the Twins or any player on their active roster. The 23-year-old is 13-6 with a 2.93 ERA in 29 starts, striking out 218 batters in 184 1/3 innings. Girardi said that aiming for the Wild Card Game was not part of the consideration in the shuffle. “No. If we felt that we needed to make a change, it is an option for us,” Girardi said. The AL Wild Card game is scheduled to be played on Oct. 3, and will be televised on ESPN.